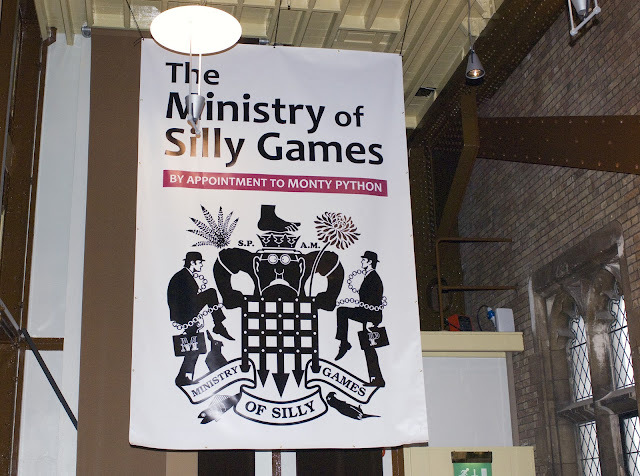 Friday 3rd December 2010: Two of British comedy’s leading lights took to the Tower Bridge yesterday to unveil The Ministry of Silly Games – the first new Monty Python videogame for 13 years. 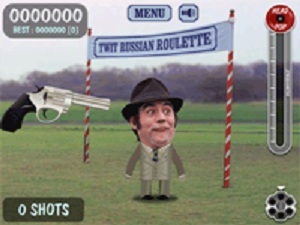 Created by leading, UK-based, social gaming company Zattikka in conjunction with the Monty Python team, The Ministry of Silly Games draws its inspiration from British TV’s most memorable comedy series in the form of an innovative new social game which enables players to play the world’s most ridiculous games within a Pythonesque virtual world on Facebook. 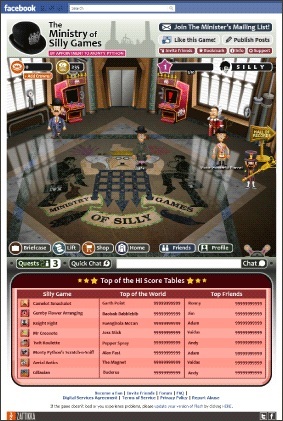 With more than 100 social/casual mobile and online titles in its catalog, Zattikka Ltd was founded in 2009 by Tim Chaney and Mark Opzoomer. Chaney has worked at the top of the videogame industry for 25 years, engineering two sales of and two MBOs of Virgin Interactive companies. 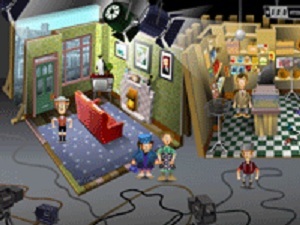 Opzoomer as CEO of Yahoo! 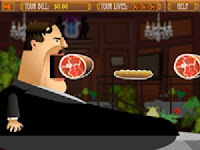 Europe and Rambler Media strategized and executed major business turnarounds. Zattikka is a blend of video game, internet platform/distribution and internet/mobile gaming talent, targeting fast track growth via acquisition of development talent and creation of IP. Zattikka has over 2.5 million unique user visits to company IP per month and growing at over 15% per month. On November 19, Zattikka announced they had acquired the license to create social games based on the creations of the legendary comedy group, Monty Python’s Flying Circus. 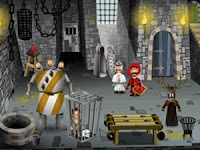 The upcoming Monty Python game will be available first on Facebook in order to connect with millions of Python fans and general game players first-hand, but there will also be a web presence in order to maximize its reach. More importantly, it will be a homage to all the characters, settings, sketches and comedic approach that has made Monty Python a worldwide phenomenon. The Python team has been involved in the process, particularly Terry Gilliam, whose art style is the instantly recognizable image of Monty Python, Jim McDonagh External Producer for Zattikka commented.